Rated 42 points - posted 9 years ago by BrendaKaye in category Kids. Beagles are the friendliest dog breed I've ever met,don't get me wrong,golden retrievers are nice,but beagles seem to be more friendly. Also,whoever says beagles are aggressive,that's rare. The only way they'll be aggressive is abuse,rabies,or lots of inbreeding. I have 4 beagles and they are great with my 4 and 7 year old. I would trust them over ANY other breed wth kids. Beagles are known to be aggressive towards children as well as be territorial and food and toy aggressive. All things to consider when placing them with a young child that has no understanding. Dog trainer and animal behaviorist. I also have 2 beagles. Both boys. They are very very friendly and love to cuddle, but they also love to go out and hunt, so its important to make sure you walk them or take them for hikes. Now my little one Odie, is very jealous of other dogs. My friend wants to sell me her last golden retriever pup, and we want her so bad, but I was told one of them will hurt the other. Can someone PLEASE tell me if this is true or not. Thanks! beagles are very aggressive twards small kids and other dogs google it. When I was a kid, we had a beagle from the day she was a pup. At night if she crawled into my bed under my blanket, while I was asleep, and if I moved she would try to bite me. Every time she would hear a nose outside, she'd howl and then a few times she would try to attack the neighbor toddlers. She was great with older people, but wasn't good with kids. Beagle's should be further down on the list. 2 other beagle's we knew about we're just like that and the vet even said they're hunters and not the best dogs to have with kids. i don't agree at all ! We have a beagle mix and is great with everyone. She even sat by two poor little squirrels that fell from a tree until I went to get her back inside, so I would know they were there. I grew up with Beagle's and they all were such sweet, energetic, fun, & friendly dogs! I have a 2 year old female beagle who is loved by anyone she meets & is very patient with my 1 year old baby. I will admit, my Beagle requires much exercise & attention (especially since the baby arrived). If not, she will find ways to get into trouble! I also think Beagles' intelligence are underestimated too. They just have a "mind of their own" at times! Beagle's are the perfect dog choice as a companion to children and adults!!! WE have a 10 year old female and a 7 year old male. They are the sweetest dogs. Very loving and love to be with the family. Mine do not howl when we are away. They are very good to our kids and would die without us. The one thing I don't like is the fact that you can never leave a beagle just out and about. You have to keep them in an enclosure or their nose will take them to potentially dangerous places. Great companions!!!! Excellent with kids, love to play, faithful and a good watch dog. I just got a black lab like 7 months ago. He is so adorable and playful. But sometimes he can be really annoying and crazy. We've had a lab since i was 9 and she has never bitten anybody, she's great! I just have to say that ANY dog can be agressive if the owners haven't taken care of it. My husbands lab is the monster from hell who has attacked every person and dog in our family. My brother owns a black lab & she is a complete sweetheart. 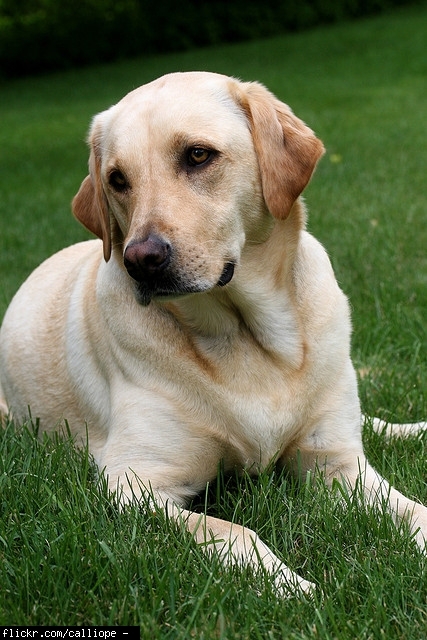 it doesnt matter what color the labrador is, it matters how they were handled, trained, and treated from a young age. even in the litter it matters how they are treated.if it were a smaller pup then he/she could have been bullied by littermates it all depends on how the dog is raised and even the most untrainable of dogs can be trained as long as you do it in a way that stimulates what they were originally bred for. Not trying to be mean but there is no such thing as a dumb dog only dumb owners. i say this because if you cant train the dog, and you dont know how to get it to obey then you werent meant to be able to have it because you're personality/leadership doesnt match up with the dog's. I have a lab mix and I need help, he hasbeen such a great dog with my grankids, but today he snapped at them know they are so scared to play with him can anyone tell me why he would do that, I hate to have to give him up.. Working with rescue I have come across many aggressive Labs. In fact the majority of aggressive dogs that come in have been Labs. Not all are from poor back grounds. I'd say a little more than half have come from good homes and have been lost or surrendered for reasons undefined. Out of all the dogs in my neighborhood (Including Pits) the most aggressive and territorial are the Black Labs. Labs are a popular choice to breed with Pits. There is a myth that it will make Pits less aggressive. The CDC admits that the majority of fatal attacks are Pit/Lab mixes or Pit mixes. Seeing how Labs are such a popular choice it makes you wonder. Don't agree...too big for small children! I have met aggressive labs but I really have to ask what the owner's were doing? Labs have nothing but love and loyalty to give you and your family. They are affectionate, good with strangers, children and other animals. They are consisently rated #1 amongst the friendlies dog breeds and #6-8 for the smartest. They are easily trained because they are so eager to please their owners and can be taught many tricks if you are patient. Be aware - To be happy and healthy Labs need excercize every day - that means walks not just being let out to pee. 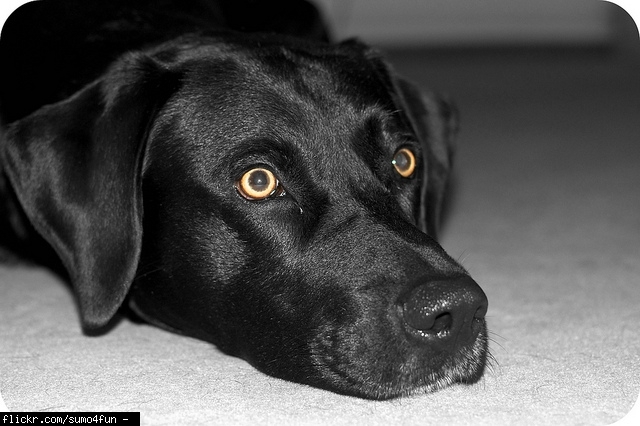 Loyal and faithful companion, loves kids, trustworthy and loves to play. Won't snap or get cranky. For the most part our Golden is good but when she is bad she is very, very bad. She is aggressive when it comes to her food, in fact a few times I have been afraid I will get bitten. There are times when she comes to sit by us then when we pet her she growls at us. She seems to becoming more aggitated more often. I am worried she will snap and the kids will get hurt badly. Highly disagree. The Golden temperament thing is a myth. Most Golden's today come from over breeding, they are basically too stupid to do anything, and this also plays a part in their longevity (or lack there of). But a Golden from a sound breeder can have just as many tendencies if not more than lots of other breeds of dogs. ATTS even tested them and they came up 1% shorter than the APBT's everyone thinks are such viscous killers. In fact I have been bitten while training by more Goldens than any other breed. Never been bitten by a Pit at all. I had one of these as a small child and she was THE BEST, she was super gentle with my brother and myself, and really fun too! She was also super protective of us as well! Will a Golden ever knock your child down? Yes. Will your child's playmate ever knock him down? Also YES. But a Golden is far more tolerant than most little dogs. He'll also guard your child like Fort Knox. Only the cutest dog in the world! I have one! My cavalier is far too friendly with people coz he just wants to greet and lick EVERYONE. I have an 18 month old son and he just follows him everywhere and won't leave his side. He's a lovely dog. I picked this breed due to the fact that my parents have one and I fell in love with her tempremant. I would recomend this breed for anyone who wants a dog who have children. 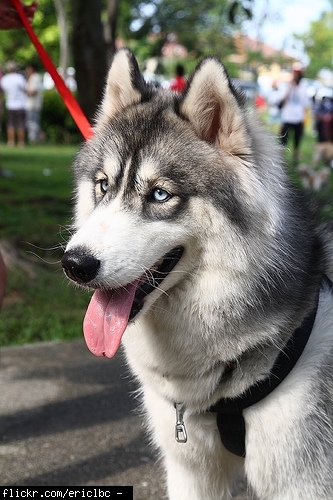 Fantastic dogs.......did anyone think of a Huskie here ? Stubborn, yes. Lovable as all get out, too. They are motivated by food, so using a food reward system is very effective. Like training any dog, it just takes patience and consistency. Great with kids, but we did have a hard time training the jumping out of him. But now he knows to go to his kennel every time the doorbell rings, and there he stays until he is calm enough to not jump. Be ready to vacuum daily, though. Brush at least every other day, that helps. These are stubborn dogs and can be hard to train. 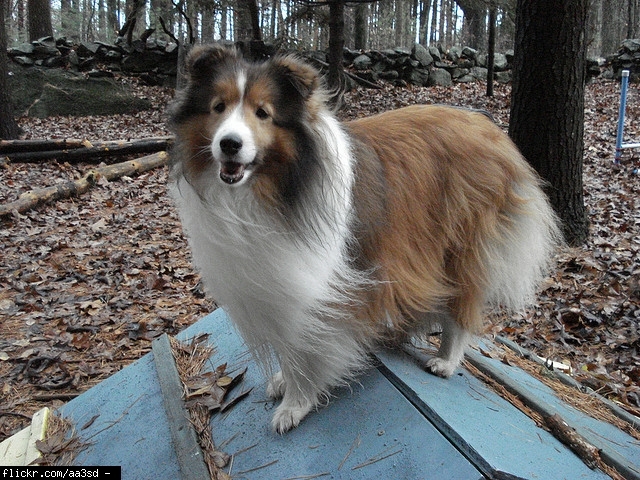 I grew up with a Collie (like Lassie). He was gentle and protective and a lot of fun and an excellent watchdpg. He was extremely smart. Had a collie and was one of the best dogs to have when growing up. Excellent breed!!! I grew up with Collies both Rough and Smooth. Great family dogs. Sweet, friendly and protective of the entire family and property. Very smart and easily trained. Roughs just need to be brushed on a regular basis. We couldn't have dogs growing up because my mother was allergic to everything with hair. I married a man with the same allergies. My son, now 26, bought an Australian Shepherd and I fell in love instantly. She is spastic but, everytime she see me she brings me something. Anything from a sock, a ball and the last time it was a plastic dust pan. I love the breed. Highly recommended by me. very smart and wonderful dogs! Extremely smart dog, easily trained and wonderful arouns children. My Aussie even let my 2 year old granddaughter, whom she had just met, place a blanket on her and lay across her body. Of course she was a female so had that "motherly" instinct. And great watch dog. My brother has a 3 yr old German Shepherd Rottweiler mix & Koko is a sweetheart like his 10 or 11 yr old Lab Sharpei White Tipped Terrier named Molly. Sometimes okay, sometimes unpredictable. Not good for small kids. Ours used jump the fence and tried to bite people on the street. There responsible for the highest amount of bites because they ate police dogs and that's their job!!! They are easily the most loving, loyal and protective breed of the lot! My german shepherd is 6 yrs. old, I have had her since she was a month old. My husband bought her for me before he left for Iraq. She was something that made me feel a bit safer at night with my husband being away. She has been the best dog I have ever had, she is feel of love, and wouldn't hurt a fly. She is great with my kids, my kids can lay on her, climb on her and she won't even move or try to bite them!!! I get another one in a heart beat!!! I totally agree. They are very loving, but protective of their family. They are wary of strangers and will bite if they feel their family is in danger, but they will not hurt their family. Any breed, if not raised right, can be a danger! Do not agree,. German Shepherds are responsible for the highest number of bites in the US. Pit bulls have the most fatal bites. I grew up with german shepherds, they were the best to have. When I was little I would snuggle up to one of them under a computer desk and fall asleep on his or her tummy. Caring, loving and protective. SOOOO smart. I fully expected my border collie to be reading a magazine (the New Yorker, not US weekly) every time I came home ;o). She practically trained herself. HIGH energy, so be ready for plenty of walks! Great companion, so loving. I miss her everyday. i OWN 2 BORDER COLLIES. Amazing dogs. The smartest dogs I have ever seen. Very loving. Will play with children all day long. Very gentle. i own a jack russel and have for about 9 years, i used to have 2, they are extremely hard to train and some love people, but can be very vicouse. they arent dog friendly near their home. they are very snuggly and great lap dogs, but are very stubborn and you must be very catious with them if you didnt raise one from a puppy. oh and extremely energetic. I find these dogs quite aggressive towards my dog. And I have heard of a couple of cases where these dogs have killed babies so its probably the most dangerous dog to have around kids. The only large breed that I would recommend for small children. They have the disposition of a lab but are as dainty as a poodle. Very gentle and not as clumsy as a lab might be which could hurt little ones (not on purpose). Different size poodles breeding allow for 3 different sized Labradoodles. Because of the wider gene pool they don't have as many health problems inherent to the parent breeds either. Pugs should be one of the top 5 dogs for kids. I've had several breeds of dogs over the years and I found the best one yet with kids was the pug. The beagle and chihuahua were terrible with kids. My kids are actually allergic to chihuahua's and my mother-in-law refuses to get rid of the dog even though it tried to attack the baby and my son. The pug takes the abuse kids can give, like trying to pull the pugs tail and never bites the kids. Granted kids should never attempt pulling dog tails, because that's just mean. PUGS SHOULD BE IN TOP 10!! Pugs are great!! I own one and even though he is a little neurotic, he is a blast!! has so much energy he can run the 10 yr old nephew ragged. such personality in a small package. I agree I have had three pugs and now I have two little kids both under age of three. Our pug has had ears and tail pulled on run into with toy trucks and keeps running back for more love. The pug curls up and takes naps with my little ones and follows them around everywhere. They are really great dogs for little kids. I have a Basset Hound, she is my first Basset Hound. I have never had a dog before who gets so much attention when she is out. Everyone comes up to stroke her, and she just loves it. I agree but found they are very hard to house train and trust to be out loose in yard. Just personal experience. Bassets should be #1 as they want nothing but love play and to be held.. My kids love ours!! and so do all the nieghborhood kids. love em..
Love them they are a great companion, we had one in our family for nineteen years while i was growing up and now as an adult have one myself. they are full of energy , fun, hilarious and very smart. For the right pet parent they are also easy to train and thrive off learning new tricks. They are great character detectors, in nineteen years our yorkie, Sissy snapped at a total of two people, both adults and both deserved it. Furthermore her bite was not all that harmful to either.like any breed they have their problems, they are yappy dogs loud and they have bladder issues. They also need attention a yorkie who is not walked, trained, and well loved get jealous and destructive. If my mom entered the house without acknowledging sissy she would find her trashcan tipped over toilet paper shredded and a favored shoe missing the next morning. They also pick their people and once chosen they are completely loyal. As to the comment about the mean yorkie - they have temperaments like every dog and can be spiteful but as the saying goes good owner= good dog. IN my opinion this dog should be at the top of the list its a playful sweet dog that always wants to be loved and feed great you should have onr there AWESOME!!!! I have a Yorkshie Terror and it is a mean dog even with ny baby sister samantha whos 1 year old. SO I THINK YOU SHOULD NOT HAVE ONE!!!!! They are not called gentle giants for no reason at all. They are every bit as sweet as golden retrievers and I am a golden retriever owner. You are quite right - anyone that posted the total crap about a Newfie "crushing" a child is totally clueless & has never been around a Newfie. Our Newfie also tried to "save" us when we went swimming with him. He was the true gentle giant that Newfies are billed as being. He was the most wonderful dog around kids & he also made friends with all of the neighborhood cats. (they would show up to play with him out in the yard) He was instinctively gentle around anything that was smaller than he was & just a big ball of love. And by the way - who do you think was taking the picture of a Newfie & the kid that you saw on the internet?? An adult maybe ?? So do you think that they were letting a Newfie "crush" a kid. Some people are so totally stupid about what they see on the Internet - it leaves me wondering about how they manage to even turn on a computer. Obviously you are ignorant to the breed. You can't believe everything you see on the internet. Do some real research. How can you comment on a breed based from a picture you have seen online?? Newfies are nothing more than big teddy bears. If you cant handle a large breed then don't own one. They are great with kids and love to play and swim . Ours tried to "save" our nephew when he was swimming and splashing a lot, she thought he was in trouble and gently dragged him to shore then licked him until he couldn't stop laughing. Then went back in to "save" my husband lol. Just make sure you have a paper towel near by to wipe thier mouths since they drool when excited, or drink. You may also want ear plugs for when they are sleeping since they snore. We couldn't ask for a better dog, even our two cats love her. Unless this breed is taught to respect a child's space, then these are way too big for a child. Photos that have been around on the internet of one laying on a toddler makes me sick. The child could have been crushed or received internal injuries from the weight!! I really have to disagree, when I was a 9 year old child I was at a friends house playing barbies and there St Bernard for no reason rams into the bedroom and proceeded to mall my leg it took everything her mother had to rip this dog from my leg after it was said and done I needed 75 stitched in and out of my leg. and my story is not alone I know of others who for no reason where bit by this breed. Marmaduke was our male when we had small children. 242 lbs of a childs best friend and play thing for many years. Loved the water sprinklers and loved to be in the center of attention. Would stand between the kids and mom or I when we were trying to correct them or yell at them for something. NEVER bit anyone and lived to be 8. Was an outside dog in Santa Ana Ca at the El Toro Marine base housing in the 70s. I have owned many different breeds of dogs throughout my lifetime. I have to say that the Cavalier King Charles Spaniel has got to be my all time favorite! My grandchildren (2 and 5) live with me and interact with our Cavaliers on a daily basis. This breed is not too 'needy' and yet not too 'independent'. They stay close by but not in the kids faces. They are friendly and love to play. Then, they calm down. I have 3 and my adult son has 1. They all have a little different personality but, the same core gentle nature and behavior. If you like Golden Retrievers, you would love a Cavalier. Same basic friendly companion, just a smaller package and a lot less hair. Believe it or not, the Poodle is extremely smart and has a great temperament. Plus, you have a size choice – toy, miniature, or standard. Regular grooming is necessary. We have a poodle mix, he's really smart and great with the kids. I really LOVE him but what I don't love is the grooming!! Seriously, you have to get them groomed regularly or it's a complete mess! Just something to consider when thinking about one, other than that I have no complaints! A lot of people are suprised to hear that poodles are consistently ranked #2 for smartest dogs (behind the Border Collie). In my own personal experience they lose a few IQ points as they get smaller breed size but remain very intelligent. They are great with kids and other animals and because they don't shed they are perfect for people with alergies. They are medium-large size dog that doesn't require quite as much exercise as a Lab. They mix well too! I recently got a Labradoodle (3/4 poodle - 1/4 lab - so far the perfect dog for our active family). My dog loves all people and all other dogs in the world. Very loving and very playful. This dog is very friendly and likes to be part of the family. These dogs have served in the military and even the White House. They like to play and they can be good guard dogs at the same time! The Airedales belongs to a group called the Terriers and the Airedale is known as the King of the Terriers because they are the largest of the this amazing group. The Terriers were bred to hunt in packs for ground animals as big as grizzly bears. They are called Terriers because the 'Terr' part at the beginning stands for terrain in Latin. In the British Army, when WW1 started, they were used as mesenger dogs all around the country. In the 1920's, in America, they became the most popular breed, making it all the way to the White House with the Hartings family and John Wayne got his name the Duke because of his Airedale called Little Duke. This dog has a very nice tan and black coat which needs to be hand-stripped twicw a year to make their coat smooth and not rigid and hard. The Airedales have the largest teeth in the Terrier family. They are really intelligent and they learn tasks very quickly. Adult Airedales need 20 minutes of training by taking them on a walk or letting them run free through the woods to keep them healthy. They are adaptable to any environment being cold or warm. To resume everything: -They are adaptabale to any environment -Can have few and minor health problems -Need firm training -They are a great family pet A well trained Airedale can become the best friend you have ever had. Before you knock it, hear me out. I have owned Pit Bulls for over 30 years. I pick my pup at the age of 8 weeks and train it myself. Nothing special, just normal commands. When I get the pup, between 8-11 weeks training starts. All of my dogs have been raised with my children and now grandchildren. I have never had any problem with them. They are always happy, relevant of the waggin weapon known as a tail. They provide a strong mental state, when trained. They allow children to fall all over them with nothing but love given back. The Pit Bull gets a bad knock. If you tie them to a tree with a huge chain on them, they will be bitter just like any other dog. If you beat the dog, you should expect for the dog to be aggressive. Just like any other breed. Becuase they are as strong as they are, they get more press. If you raise the dog like garbage, the dog will be garbage. So, if you can’t raise a dog, don’t raise children. 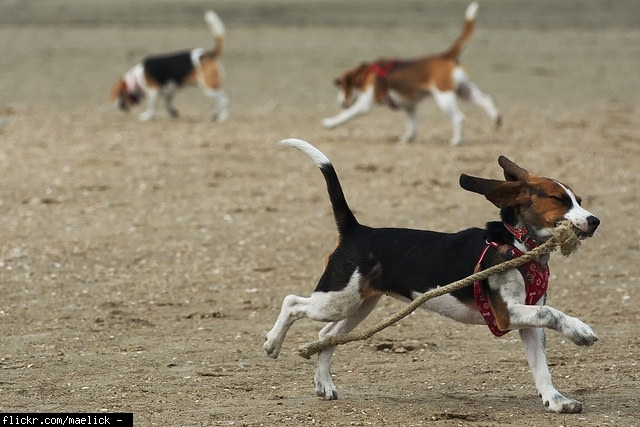 These dogs love to work (pulling, running, fetching and are natural hunters). That being said, they also love to sleep. Probably 18 hours a day. Not kidding. Give these dogs a chance. Please do not partake in a Breed-specific legislation. My son, who is now 11, has been bitten by a dog at least 3 times when he was younger (he still loves dogs). Not one was a pitbull. They were datschunds, jack Russell's, and chi's! We currently have a 1yr old pitbull and she LOVES her family!!!! We also have a small 3lb yorkie, a rott mix, a rat terrier, and a jack mix! She has never shown any aggression to any of them or any of us (even when eating or when my 1yr old gets in her face and pokes her in the eye)! She's wary of strangers, but warms up quickly because really all she wants is for them to rub her tummy!!! Her father was a bit aggressive with other dogs but we got her anyway because we KNOW it's not the dog; it's the owner!!!!! I love my Pittie Girl, she's my best friend. I've had dogs all my life and currently have a pit bull mix. He's is the perfect dog. He's friendly with every person and dog he meets. Around children he is extremely gentle and calm. He knows when people are uncomfortable with them and just kinda ignores them. When i got him he didn't like other dogs. Now he is playful or neutral unless the other dog goes through a lot of effort to provoke him (my cousin's mastiff chewed on his ear for 20 minutes before he responded and a bloodhound at the park nips at his face, he just barked both dogs off). That said he is powerful. I saw him (gently, but still agressively) drive a mastiff twice his size to the ground. He has also been attacked while I've been walking him twice. In both instances he moved away and tried to avoid the dog for a few seconds before responding and in both times he drove the other dog off quickly once he did. I trust him with my life (he sleeps in my room), I trust him around my adult friends. I would not leave him alone with a child though. He is the sweetest, friendliest, smartest, cuddliest, most eager to please dog I've ever met, but he is still a dog that is immensely powerful. You shouldn't leave your child alone with any dog. However, a pit is an amazing companion dog that is great with kids (watch the tails though). If you're looking for breed specific I recommend one. I have witnessed two pitbulls "pack up" and aggressively charge another dog. It was scary and creepy. Having said that ,a similar thing happened to my dog and she is part pit. Two Labs (yes Labs) surrounded her and began aggressively going at her until pulled off. My point is that dogs can be aggressive but that isn't exclusive to any one breed. i didn't like pitbulls but fell in love with my rescue pit/beagle mix. She was 1 yr. old, found on the streets and judging from the bite mark scar on her face, had a rough life. She was scared and anxious but never aggressive. I have not really trained her much beyond simple commands, but have socialized the heck out of her and she is now confident, and very friendly. Dogs ,like people, carry their experience with them, but it doesn't define them. There are bad dogs and bad people, some born that way and some socialized that way. Wouldn't it be just too easy to lable beings as "good" or "bad" based on color, gender, breed...no? Right. Give pits a chance like you would any other dog. Mine looooves the kids, is loyal, playful, patient and I swear she looks at me everyday like she is so thankful to have been saved. What an angel. I own a pit and she is the best dog I've ever had! I trust her 100% around kids and all other animals. She is a doll. i onw a pit bull and they are great pets! i own a pit bull and he now knows all of the basic training steps. sit, lie down, roll over, etc. I learned that there back round is bad but people must understand that its the owner and not the dog! owner determines a dog's behavior.. I have been bitten severely twice in my life...by a bird dog and a Shar Pei. I adopted a Pit Bull as a puppy 2 years ago as a pet for my disabled son, and he is the sweetest, cuddliest, most patient dog I've ever seen. He was also incredibly easy to train. They love their people; unfortunately, this wonderful quality is what irresponsible owners prey on. He loves to play with my sons, now 15 and 17, and is very gentle with my niece and nephew who are 5 and 7. My boyfriend has never been much of a dog person, but has fallen in love with him as well. He plays well with our older mixed breed pup, and is patient with him if he gets a little aggressive. I think there is still a lot of common sense involved when you have a big, muscular dog (good training and supervision, for example), but I'll never own another breed, especially since there are so many who need good, loving homes. I'm already thinking of when to adopt another. Hate the deed, not the breed. I met my pit 5 years ago. He was my boyfriend’s dog and I was terrified of him. He was jet black and you could see every muscle he had. He knew I was scared and he rolled over and let me pet his belly. From then on we have been best friends. I have been around dogs all my life and I love my pit. He is one of the best dogs I have ever had. He has been attacked several times by other dogs, in his own yard and yes he has defended himself, but what dog wouldn't? My boyfriend got a Chihuahua when the pit was around 3-4 years old. Not once have I been scared that the pit was going to eat him. They play together better than any dogs I have seen. I believe that any breed will bite and attack. Sometimes, you get a bad blood line. Don't ban an entire breed because of confusion and speculation. There was an dog attack story here locally and the article clearly said a pack of wild mixed breed dogs. Well, the community turned that into a pack of pure breed man eating pit bulls. In the 18th century, bloodhounds were thought of like pits are today. Every dog attack was a bloodhound. In the past few centuries, people would pay to watch a pit bull attack a bear, wild hog or some other wild animal. But, if a dog ever attacked a human, it was put down right away. For those of you that want to ban the breed, I suggest you read the book about Michael Vick's pit bulls. Some of his dogs are now used as therapy dogs and reading dogs for kids. These dogs were evaluated by people that are experts on the breed and they put their jobs and reputations on the line. If you own this breed they take a lot of work. It's not for somebody who just wants to have a dog outside to look scary. They need love and attention daily mostly because they love their humans and they just want to show you. I worry more about an idiot killing my dog more than my dog hurting someone else. Just be responsible with your dogs and that goes for any breed. Bad owners make for really bad dogs. My inlaws have a female pitbull that is so sweet and gentle. She was raised properly and loved. She is great around kids, if they don't mind her loving them too much. She is actually afraid of her own shadow, what a killer right! My wife accidentally popped a birthday ballon and she went right under the table. I have owned many different breeds of dogs. As a kid we had a German Shepard that was aggressive to humans and other animals and would fight with other dogs. The same with Dobermans Rotwilers and just about any other species. I have owned pit bulls, brother in law owns the friendliest dog I have ever seen. she is a pit bull. He has 4 kids, ranging from 10 to 1 yr old. She lets them play with her, jump on her, do whatever they want basically, and she just loves it. So by some of your logic, just about every species of dog should be eliminated since every species has the potential to be aggressive towards humans or other animals. EVERY species has this potential. To the"intelligent educated" people saying the pitbull should be "banned" and "eradicated"......How much research have you actually done? You cab stick your "hollier than thou" attitude where your head is! Maybe you need to have your precious little yiping rat of a dog show you where that is. Bears kill people, too. Should we put every type of bear down because of this? The dogs that most media claims to be "pitbulls" are usually some kind of half-breed. A pitbull is no more dangerous than any other breed! We have two pit bulls and a cocker spaniel. Guess which breed has to be shut up in the bedroom when the grandkids arrive. The cocker spaniel. He has snapped at the oldest grandchild a few times and she was not doing anything to him but petting his head nicely and gently. He's not old, we got him as an 8 week old puppy and raised him with love and affection. I would trust the two pit bulls around the grandkids any day. The are gentle, loving dogs. I'm glad to see them on the list. It really is amazing to me how angry some people are at a breed of dog. Humans were the ones who bred pitbulls to begin with. If you want to be angry at someone, be angry at the backyard breeders and ignorant humans that buy pitbulls and do not train them. Pitbulls are no different than any other type of dog. They need consistent training, attention, and care. For as many people who seem to have stories about aggressive pitbulls, I have tenfold that number of stories about other breeds of dogs that have mauled, injured, and killed people or animals. Dogs do derive from wolves and other wild dogs. They are domesticated, but still maintain many of their natural instincts. Dogs, as well as cats, have a prey drive. It is natural for them to hunt. 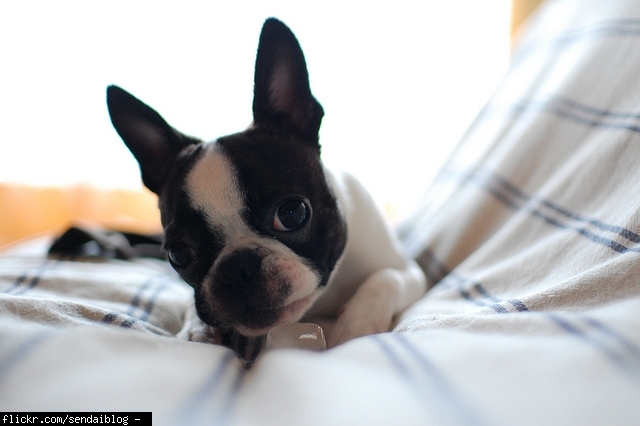 Many owners though, expose their pets to as much as they can so that their pet is acclimated. I've have worked with animals for over 15 years, and I can tell you from experience that the breed is never the problem. For the two people who have had multiple experiences with "bad" pitbulls, I question the accuracy of your stories. Most people do not even know how to identify a pitbull. Multiple breeds of dogs are mistaken for pitbulls. Unfortunately they happen to be the breed that everyone wants to blame. I suggest you naysayers get educated. Kudos and much respect to all you pitbull lovers and responsible owners. You help give the breed a better name every day. Thank you for your posting and for standing up for this breed of dog....it is a blessing to see that there are people out there that don't judge a dog due to it's breed such as humans, it is amazing how a dog never judges a person by his/her race, religion, ethnic background etc but instead loves a person and only wants to be accepted..a dog is considered man's best friend that is all because they teach us to real value of compassion and acceptance in life...pit bulls are great animals and i will always pray for these animals and for the fools in society who judge them before GETTING to really know them.. Someone a few posts back wrote "Pit bulls are almost always aggressive towards strangers." This is the type of bs clearly written by someone who has rarely been around the breed and has bought into the media hype. We have had 2 different Staffordshire Bull Terriers over the past 14 years, and we have kids that are 12, 10, and 8. They are simply fantastic dogs, known in England as the "Nanny Dog" because of their gentleness with children. I am a doctor (not a drug dealer) and my sister is a veterinarian - she continually says she would rather be in a room full of pits than almost any other breed. Bottom line - a lot of lowlife, irresponsible people abuse pit bulls, which makes them aggressive, but it absolutely is not the way this breed is bent. I have owned pits all my life and have raised them with my kids who are 24,17, and 11 yrs old. they are the best dog you could ever own. some people on here listen to much to media BS. for the guest that had 2 dog killed in front of her along with a cat at her vet and a child too! come on quit making up stories to bash this wonderful breed. remember guns dont kill people people kill people! same goes with owning a dog of any breed its the way they are trained and socialized that makes all the difference in the world. I'm currently living with my sister and her husband, they have a female pitbull and a chihuahua. Funny thing is the pitbull (who has recieved proper training by both the owner and professionals) is a giant lovable oaf, who loves to eat and sleep. Granted like any dog can get rowdy if they want some fun or get hyper, but like said, proper handling, training and a stern owner, can make this dog into mans best friend and to their guests (with the proper knowledge to get them acustomed to this of course). I often have to baby sit her, and honestly the most problematic thing I get is the fact that she loves to jump on my bed (sounds more like my baby cousin than my sisters dog). I personally wouldn't get one myself because I do not have the time and devotian to raise one properly like my sister has. But in the right hands, its a great dog. Primarly the only ones that are the "problem" is because owners have overlooked something in their training or just lacked their of (or are just plain stupid like most of those that belong in the 'nay-sayer' category). I have worked the in the animal care field for many years, whether a vet tech or a kennel worker. I have worked with many different breeds and without a shadown of a doubt the most aggessive breeds I have ever had the pleasure of meeting are dachunds, chihuahua and mini poodles. In fact our blood donor dog happens to be the sweetest pit bull named Baby. Golden Retrievers have a mental condition common to the breed which causes them to fly into a uncontrolable rage without provocation and attack the nearest living thing to them. Labs are so overbred by irresponsible backyard breeders that their temperments are so impossible to determine any longer. Its fair to say that some people have been victims of pitbulls, but to condemn an entire species because of the acts of a few isnt human. Such as the guest who mentioned losing 2 family pets to pits and wants to eliminate the species. With that logic in mind, if somebody in your family murders somebody else, your entire blood line should be eradicated. I am a pit bull owner and I wont blow smoke and say they are the perfect animal, there is no such thing. My dog has the ability to leave the back yard whenever he wants, we only have a 4 ft fence, easily jumped if desired, and yet he has never once done it. My dog does indeed bark at strangers when he is outside, what dog doesnt? My dog will chase off any animal that doesnt belong in his "territory", this also is animal nature. But ANY animal or person that comes through the front door is greeted with the utmost urgency. I take him to the park every week also, no I dont let him off the leash but thats because he likes to chase ducks and I couldnt catch him if he took off, not for fear of human life. My dog has never attacked anybody even though he has been shot at both by rifles and pellet rifles while he was in my back yard. Thankfully the kids with pellet rifles were the better shots. Basically, dont take somebody elses opinion, if you dont have the courage to walk up to or own a pit bul, you have no right to judge them. Thats called Prejudice. OMG, I got to this website reading an article about a pitt killing a kid! Yeah great idea a Pittbull as a family dog, I would rather give my kids a gun!!! This dog does NOT belong on this list. Maybe a list for retards. Look the only people that agree with these being a family dog are the "Proud" owners of one! Get real people! i have had pittbulls since I was a teen. I am now 42 and have a pitt/cane corso mix. Pittbulls are what you make them out to be as an owner, just like any other dog. if you teach him or let him learn (from your ways) to be aggrerssive then it will be that way. People are ignorant toward the breed. as well as used for fighting way back in the day, they were also used as "sitters" for children while the adults went out to hunt or whatever. back then they were called "nursedogs". my pitt/cane corso mix just wants to climb in my lap. 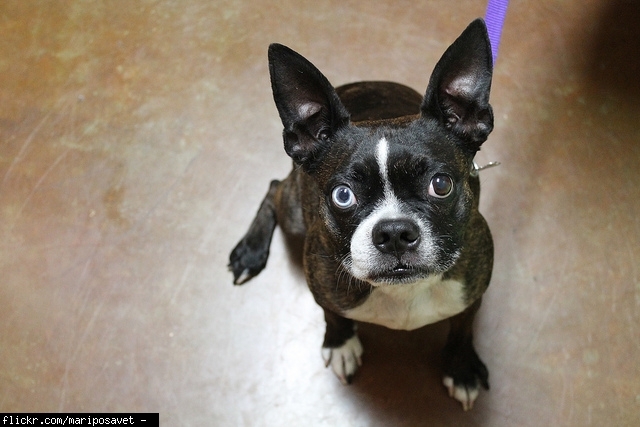 infact I also have a boston terrier, Polo, whom my pitt/corso mix lets do anything (bite her ears, bite her legs, etc.) to her and never gets aggressive with him. she even lets him eat and drink with her, except if I give her a buger. LOL. that meal is not meant to be shared. To the person who questions the breed worthiness of being legally owned, I adopted my dog Tye from the ACSPCA six years ago, he is a pit. I have owned german shepards, australian shepards, labs and a golden in my life, and my pit is the smartest dog I've ever had the pleasure of owning. He is gentle and sooo sweet, I have two small girls that have sleep overs all the time and my pit gets so excited when new kids come, they literally play tag with the dog and he LOVES it!!! They chase him and then he'll turn around and chase them, it's hilarios!!! Best dog ever award goes to Tye, my pit bull/ third child. P.S. I take him to the park, camping and family reunions where we all bring our "hairier" family members, and he's just fine, hasn't slaughtered a single one!!! I have a pit bull and another dog, they get along great. The other dog is half his size. I have 2 cats that the pit loves. I also have 3 birds that he has never given a second look too, even when they land on the floor in front of him. We go to the dog park every weekend and have since he was 8 wks old. A dog is a representation of it's owner. PERIOD! BSL is BS! I work in a veterinarian hospital and the most inherantly aggressive dog that we are all hesitant to treat (especially if not neutered) is a chihuahua. As mentioned before, dogs are usually aggressive when they are mistreated or not trained properly. Some of my favorite patients are pitbulls. The media is stupid and publishes stories about pitbulls out of demand, people want to hear they are aggressive so that is what they get. I was bitten by a bouvier des flanders who are inherantly aggressive as well, I have never personally met a nice one and they are huge (over 100 pounds), but do you hear about these breeds attacking people? No. People need to do their own research (not on the internet) and make a decision about what is right for their family. Pitbulls may not be right for everyone, but neither are chihuahuas or dogs that require a lot of groom or have allergy issues etc. We discourage stereotyping humans, why can't dogs have the same privilage? to the last guest. I have a pitbull and Chihuahua, they get lest alone with eachother all the time! My brother has 2 pitbulls and a 2 year old son, the dogs are GREAT with him, he can pull their tailes, their ears, he falls asleep laying on top of them and the dogs wont move the entire night as to not disturb him. Im not a drug deal nor is my brother, and we have had pitbulls our entire lives, they are great dogs! Oh and i have a cat as well that my pitbull lovesssss to death. AND our pitbulls can go to a dark park without a problem as well. I have experience with only two Pit Bulls. Both were owned by my brother-in-law. Both dogs were the most loving of animals. They were massive in build, but just as sweet in heart. Friend or stranger, they were never aggressive or off-putting. Children could crawl all over them and they would do nothing but lick them and roll on their backs for fun. Great dogs! Dogs are dogs. They can bit. I can honestly say I have 2 of these dogs and my oldest is 16 and my youngest is 7. I have had them both from a puppy. I have not had 1 fight or even a hint of a fight with my 2 girls. I am the alpha in the house. And I can honestly say they listen better than some children that I have seen. I hate BSL. People that support are what I like to call trained seals. In North America hospitals will treat around 4 million dog bits. Want to know how many are pitbull? That is easy. Just google pitbull dog bits for 2010. I guarantee that every time a "pitbull" is involved it makes the paper. If you want a dog that is very lovable and loves to cuddle, this is the bread. Don't listen to the politicians who want people to fear these dogs and make them out to be monsters. Everyone needs to know that any dog can bite. The friendliest dogs can too. People are ignorant and don't really care unless they see things on media. Pitties are intelligent and eager to please. I work at a Grooming Salon, and i have yet to meet a horrible Pitbull. They're just big lovers. The only dangerous thing about them, if raised right is their tail. i've been trying to convince the family to get one, but with the media and ignorance, i'm not allowed to acquire a sweet dog. Their temperaments are wonderful. Provocation teaches them to be mean. People set them on fire, pour acid on the pups to mke them fierce. i've met one that had had that mistreatment and it would have surprised you.. he's the biggest lover of all. As with any breed of dog, care must be taken around small children until you determine each individual dog's temperment - every dog is different and that has nothing to do with the breed. Pit Bulls have got a bad rap due to ignorant owners who taught them to be agressive and the unfortunate fact that they happen to be a powerful dog. That being said, each and every pit bull I have ever known has been docile and friendly towards children and pets alike (including cats). There are 3 pit bulls that fall into my top ten most friendly and docile individual dogs and one that still holds my #1 spot. Do your homework and get a dog that's right for you - but DON"T rule out a beautiful breed like the Pit Bull because of bad press. My husband wanted to get a pit bull as our family dog but I am a little hesitant because of the reputation they've been given. We have a 3 year old boy and are planning on having at least 1 more child. The more I read, the more I am confidant the Pit Bull may be a great choice for us. Thank you for the enlightenment. Thank you. Most individuals that judge these animals really don't have a clue to how gentle these dogs can be. I have owned this breed of dog for over 25 years and haven't found one of my dogs to fit the stereotype. these are the best! there are play full,and always stay by your side if you are in nee. my cocker is the opposite, she is the first I have EVER owned, she loves loves loves everyone, minds extremely well, i have had many dogs, she is the best, I have 2 boys, she loves them too ! So possessive, doesnt like strangers met outdside the home and can be agressive despite their size. My dog Max is crazy he literally gets this devil look in his eyes when your try and take his things toys food it doesn't matter....but he's so sweet when he wants to be. Mutts are typically well-balanced and intelligent. Overall, they are truly amazing dogs! Plus, you can save a dog from life in a shelter. Having owned them for 15 years along with German Shorthair Pointers I can say they are nothing short of amazing. Great with kids and grandkids, highly protective and loyal. Easy to take care of only health problems are the ears and possible issues with the hips. We have two female weimaraners, now age 9 and 8. They have given us so many wonderful memories. 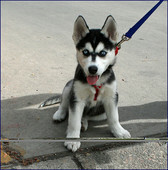 They are extremely intelligent, love people, great watchdogs and very entertaining companions. They do believe that they are family members, so it takes consistent, loving direction to help them realize that there are rules to follow and they are high energy so daily exercise is a must. We highly recommend weimaraners for experienced dog people. Weimaraners are at risk for tumors. They are mostly fatty tumors in our experience. We just had a 5 lb tumor removed from his tummy. Our dog is lumpy but he is one of the best dogs we ever had. He is smart, loving towards all humans and dogs. Does not like cats or squirrels though. He loves to go with us no matter where we go and he is a wonderful companion. Weimaraners are a mix of German Shorthair and Bloodhound so he has amazing talents! This little cotton-balls breed loves to play, but is not usually too hyper. It is also a small dog, which is perfect for your little humans. Regular grooming is necessary. Aww ive owned this dog hes called oreo and they are very very playful and fluffy!!! Adopted brother and sister mini schnauzers and the very minute we had them in the car they curled up in our laps! I have always had bigger dogs but I am now such a lover of these dogs. 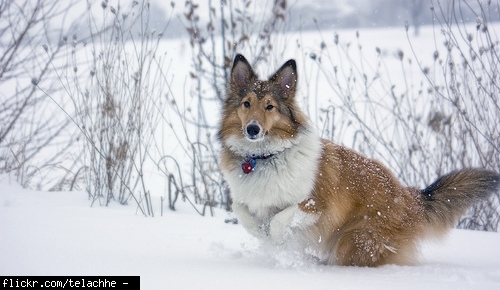 They are big dogs in little bodies and will trounce in the snow and play with other big dogs with gusto! I love that they don't shed--what a bonus! Because they are very freidly and lovable dogs.And they are really smart. Never Bossy. Never snaps. Never Growls at someone there familiar with. Never bites kids. Never demanding. Perfect. Never regret having a maltese. They're so friendly and so gentle. If you treat them like purse dogs, they will no like you. They like to be treated like a real dog. Undemanding, Great with kids and Super Smart! I used to have one named Chloe and she loved to snuggle with me and she got along great with other dogs! Her favorite person? Everyone. The most loving dogs. She gets along great with our golden retriever and our two kids Ruby and Jonathon. They are super easy to train, and so good with kids. She's quiet but loud when somebody unfamiliar approaches her! I own two of this guys, and they are just the best lovable meat heads in the world. High maintenance Yes! I wouldn't recommend them for family's with very small children only because they tend to be clumsy and will knock a small child over easily. however loyalty and love this guys give are all bonus. ranked #1 for the top 20 smartest dogs in the world.love kids. my opinion i have 2 pits there frendly never attacked anybody or anything. my 2 yr old nephew plays with them i got atacked by a boxer at age 11 and 2 yrs later by a rotweiller so i think the pit bull is better the lock jaw thing is a myth. These dogs are known as the clowns of the dog world...they're fun, loyal and sweet! My husband and I bought our boxer before we had children, I have three kids now and my boxer has never given me any cause for concern from day 1 coming home from the hospital with the oldest. She tolerates all of their toddler abuse and comes back for more! I LOVE my boxer and will get another when this sweet baby leaves us. Friend had a female boxer. Mean to children nice to adults so I have to disagree with this one. I agree this dog need to be before the Pitt and Rotts! Those two don't even deserve to be on the list! I would get my kids 20 Boxers before getting a Pitt! Can't believe the Pit is listed before the Boxer! And Rottweilers! I've never been around one that didn't try to attack something or someone! I have a Boxer that only sees my grandchildren a few times a year, but is so gentle with them and loves them and follows them around as if to protect them. He even sleeps with them at night on the floor beside of their bed. Boxers are puppies at heart and I guess that is why they love the kids so much. I cant believe the Boxer is way down here at 18. They should be ranked way higher than this. Like top 5. We have a rescued Rottweiler and with people he is the softest, friendliest dog you could imagine.He does have an issue with some other dogs, especially small dogs that start barking at him and their owners find that amusing. When reading about dog attacks on children in the family, it does seem that the owners have made less than intelligent choices about what dog to bring into the home. Tha most recent tragedy in the UK involved a breed known to be risky and the owner bought it from a man in the pub weeks before his partner was due to give birth. Whilst I think our Rottweiler is wonderful, I would never bring any dog into the family in such circumstances and do think that if people showed more intelligence the majority of dog attacks would not occur. I oersonally saw a Rott attack its owner while at a training class , requiring many stitches in her hand. Not a trustworhty breed. I was attacked in a vet's office by one of these once while holding a puppy. I had a vet tell me years ago that the Rottweilers were so inbred that they were not the dog they used to be. So, i'd suggest checking pedigrees for no inbreeding when purchasing one. The most common known nick name of the staffy is the "Nanny dog" because of their strong bonds with children. They enjoy the company with a playful child rather than a playful adult as a child seems to suite the childish happy personality of the staffy. They do tend to get the same rep as the pit bull for their powerful jaws and body frame. But a good owner will tell you that a well trained staffy rarely uses it's muscle and prefers to be a gentle dog that enjoys comfort. they're intellagent dogs, guard, play, not angry. ive had 2 they are the best dogs ive ever had. with every dog the boys are always crazy energetic and yes crazy lol but i also had a female named abby she was amazing dog they were both so loving and they will always protect you and sit by your side. Use arrows to rank one item in Friendliest Dogs for Kids vs another.